How long should a video typically run before I lose my audience? Do people want to see me, pictures, or both? How do my videos compare to other competing videos? How well do my videos retain the viewing audience? What can I learn from my previous videos that will help educate me on how to improve my future videos? What Is YouTube Hot Spots? YouTube Hot Spots are a new reporting tool located on the lower-left of your YouTube Insight report for each of your videos…hosted on YouTube of course. This report now allows you to see such how your videos are received by viewers throughout the course of the video. The metrics provided are compared to thousands of other videos on YouTube of similar length for comparison – you cannot segment by attorney videos only. Instead, you may be competing against the sensational video of the monkey scratching his behind with millions of views…so don’t get too caught up in the overall comparisons. As noted above, you can now see how people are reacting and behaving when watching your videos. If your video has not yet received 300-600 views, chances are you will need more views to produce the data you need to see this report. In short, as if YouTube’s ranking algorithm involving total views was not enough for you, this is yet another excuse to stream your YouTube videos through all of your web properties. What Can You Learn From Hot Spots? YouTube Hot Spot reporting is still in its infancy but could very well become the new “heat map” for video effectiveness moving forward. Since people are more inclined to watch than read online, this may be yet another valuable tool to help you improve your attorney marketing efforts online. If you would like to learn more about lawyer search engine optimization and marketing online, please contact the SEO Consultant Firm today to see how we can help you. Will Google +1 Help Attorneys? Questions are beginning to swell amongst attorneys about Google’s latest answer to social media – Google +1. Around three weeks ago, Google released the Google +1 button to accompany their search engine results and try to better combat the growing significance and threat from major social media providers like Facebook. Since its launch, Google has now surpassed over 20 million users in a matter of weeks- something their last failed attempt at social media (Google Buzz) was never able to accomplish. Since Google +1 is prominently displayed to the right of each search engine results, do people truly see some value here or are they following like sheep so they don’t miss out on another saga of the social media revolution? Gmail: as of November of 2010, Gmail had around 193 million monthly users. Chat lists are auto-created from people you commonly email with on Gmail. Many people have multiple Gmail accounts. As for contacts, do most people create and maintain their contacts with Google contacts? Why would they maintain them there and on their smart phones, and Outlook, etc.? Google Circles: This is Google’s recent answer to Facebook lists – namely allowing people to create circles (or groups) of people in which you can more easily collaborate and share information with. The technology around this seems very interesting but much like Facebook lists – will the masses every really start using it? Google Reader is simply an RSS aggregator that people will commonly use to centralize, review and access news from multiple sources (i.e. websites, blogs, etc.). I have been providing legal education and discussing the power of Google reader for years now but continue to find that most people simply do not use it – either regularly or at all. So What Does All This Mean For Google +1? When Facebook redefined social media, it created a tremor across the entire internet…including the search engines. Ever since then, search engines like Google now see applications like Facebook as a threat to their “follow the yellow brick road” model they have created for themselves. In short, social media creates “alternatives to search” that threatens the very heart of Google’s growth models. My biggest question around Google +1 is the data they are using for their social connections. In many cases, these sources are Google sources and are not social media related and/or are not heavily used in any quantities that would rival Facebook. So based on this, I would seriously question exactly what benefits are provided to the average +1 user and whether or not they will now take the extra steps to make this yet another social media outreach a success. Yes, Google has had an impressive start right of the gate with 20 million users but is it sustainable? Will it come anywhere close to rivaling Facebook for the same benefits provided? Google has recently indicated that Google +1 could now potentially impact the search rankings for +1 users based on their connections. But this of course is based on how m any people will actually use +1 and whether or not they will continue to be receptive to Google’s threats to continue change their search results displayed…which might go a long way to explaining the 20 million reasons why so many people initially jumped on their boat here. Of course, the legal use of Google + data will only be as strong as people’s willingness to use it. Based on my observations at this point, I have my doubts. In the end, isn’t Google a search engine and Microsoft a software system provider and Facebook a social media giant? I sometimes wonder what companies sitting on billions of dollars in cash now think they are when they often forget what they are. 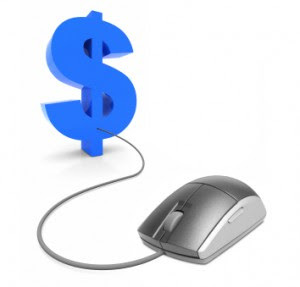 Should You Pay For PPC If You Are Already #1 Organically In Google? Attorneys with very high organic ranking websites will occasionally ask me if they should also be paying for PPC (Pay Per Click) campaigns for the same search term. In a previous post on why you need to be #1 in Google, I had pointed to recent studies by Jupiter search that showed that 87% of traffic from the search engine results pages go to organic results while 79% of people will ignore PPC advertising all together or only click on them AFTER they have exhausted the organic results first. In short, by asking the question of whether or not you should run PPC with a high organic ranking is basically asking if you want the additional 13% of the search results...or one would think. - ROI is largely positive for running PPC along with organic results but this is ultimately a function of costs and returns. How About PPC Landing Page Conversions? One of the arguments for using PPC is that you can direct the clicks to nearly any webpage you want - unlike organic listings where the search engines (with SEO help from you) determine where the clicks go. These specialized "landing pages" tend to have higher conversions since they are designed specifically just for converting website traffic from PPC ads. Based on this study, the conversion ratios of the landing pages were typically around 10% higher than organic search pages. In summary, if you are considering running PPC along with your high organic placement, try running the same tests as they did in this study and see if the ROI is there for your desired search term/s. If your ROI is positive, stick with it. If not, stay with your organic search results. 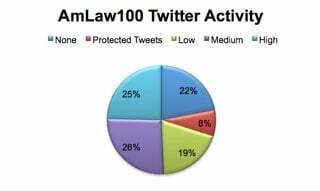 A recent report our by the National Law Journal shows that although most of the nations largest law firms (78%) now have at least 1 twitter account yet most do almost no tweeting at all. Of the firms that had Twitter accounts, eight have protected accounts - meaning you must receive firm permission to access these accounts. 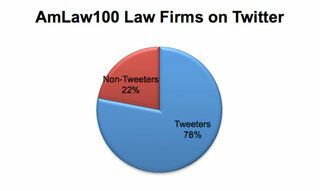 The debate still rages on as to the real effectiveness of Twitter and the business of law. We continue to hear stories of attorneys effectively using social media during high profile cases such as the Angel Alvarez case were he survived 20 gunshot wounds from the police in NYC. Conversely, many of the most highly followed attorneys on Twitter continue to claim that little or not new client generation has resulted from these efforts. As attorneys continue to learn more about social media and its uses, they continue to question its effectiveness and the best uses of their time and legal marketing dollars. - What social media accounts do I need (i.e. Facebook, Twitter, LinkedIn, Videos, etc.)? - Do I need accounts for my firm, attorneys, by practice area, etc.? - How do I maintain each of these accounts? - What do I write about on these accounts? - Is this an effective use of my time? To best questions, I continue to promote the creation of a legal active content strategy. This strategy is based on the simple creation and integration of all of the mostly commonly used social media tools into one seamless and easy-to-use information network. 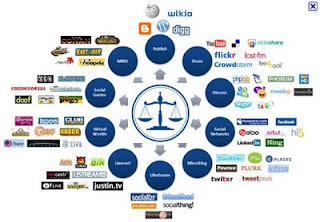 Once created, information is entered in one location (your legal blog) and then transmitted throughout your entire social media network automatically. No more entry into multiple accounts and not more worrying about which social media tool will work the best for you. If you would like to learn more about setting up an effective active content strategy for your law firm, please contact us today so out top search engine optimization consultants we can help you grow your practice online.